What Are The Types Of DVD Recorder? Straight-to-disc: These are cheaper upfront but are becoming less common. In order to record, you must purchase recordable DVDs separately. Hard drive:These have a built-in hard drive, which is useful for temporarily storing recorded video. More importantly, video can be transferred to a disc for longer-term storage. DVD-R or DVD+R: You can record on these only once. Use them for storing your more important footage, such as home movies. DVD-RW or DVD+RW: These can be written on, then erased and re-written multiple times (rewritable). They're useful for recording TV programs you may want to watch only a few times. There is no difference in quality between the – and + formats. However, some DVD players will only play one or the other format. A DVD player with "multi-format playback" will play both – and + format. If a DVD does not have multi-format playback it should list what format it can play. Some DVD players are also able to play back computer files such as MP3 audio and JPEG photos. This function is useful if you wish to use your DVD player for more than viewing videos. You can use DVDs with this function to play music through a home theatre system, or display photos on your TV. DVD players will list all the file formats they are capable of playing. Some discs are not locked to a particular region and are marked with region 0 or region All. In Singapore, most DVDs are region 3 encoded. All DVD players in Singapore can play region 3 discs as well as region 0 or All discs. 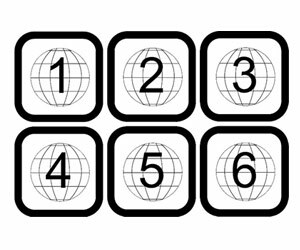 Some DVD players are "multi-region" or "region-free", meaning that they are able to play DVDs encoded with any of the region codes 1 to 6, as well as region 0. These are useful if you are planning to purchase DVDs overseas, or over the Internet from international sites such as eBay or Amazon. DVDs are SD (Standard Definition) resolution and the picture quality is not as detailed as HD (High Definition) formats such as Blu-ray. 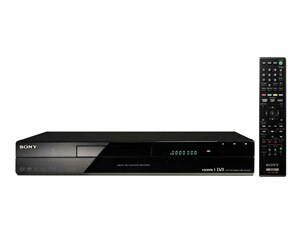 Some DVD players are equipped with an "upscaling" feature, which converts the SD signal into High Definition for a result similar to Blu ray. Upscaling requires an HDMI (High Definition Multimedia Interface) connection, so DVD players equipped with the upscaling function will have an HDMI output. Your TV will also need to have an HDMI input in order to upscale the image. HDMI cables are generally sold separately. What Else Should I Look For In A DVD Player? Progressive scan: The image on a TV is broken down into "lines", or rows, of pixels. Progressive scan displays the image by scanning each horizontal row of pixels every 60th of a second, as opposed to every second line being scanned alternately every 30th of a second (interlaced scan). Progressive scan leads to a smoother moving image. USB input: Allows the DVD player to read external devices, such as an MP3 player, iPod or mass storage device. This is useful for accessing files that multi-format DVD players can read. 24p video output: This displays the moving image at 24 frames per second. It reduces judder or motion lag as the eye cannot detect the frame transition and the image is seen as continuous motion.